I don't always like submitting to my husband. Cue the gasp. Can I be super honest here? It's hard sometimes. You don't sit through a marriage sermon without hearing the marriage commands given to us in Ephesians. Don't get me wrong - I love these commands and want to scribble them on my heart. The problem? My flesh. I want to talk specifically about the wives command - Ephesians 5:22 For wives, this means submit to your husband as to the Lord. Let's get this out of the way now: submission does not mean you are a doormat, it is not an excuse for abuse (and if you are experiencing this, please speak to someone you trust and get help! ), submission does not mean you are weak, less than, or deemed lower than your husband, it is not always easy, and it is certainly not convenient. Rarely anything that is truly good for our souls is convenient by the world's standards. So what IS submission? Doing heaps of research, in my studies I have found that submission is understanding our husbands role as a spiritual leader in our marriages. Submission is sometimes translated as "respect" (Side note: Love and Respect by Dr. Emerson Eggerichs is amazing). 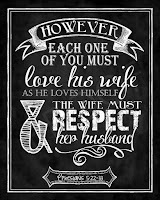 Verse 23 talks about as Christ is the head of the church, a husband is the head of his wife. Please, please, please don't miss the goodness God has for you because of the negative connotation submission has. Submission is a hard word to swallow, but it's beautiful, when done biblically. If this strikes a nerve with you, I urge you to do your own research on this. Talk to a spiritual mentor, find a woman who follows Jesus and has been married for decades. We must listen and learn with a spirit of humility, and force our pride to get out of the way. As beautiful as submission is, and as often as it really 'works' in marriage - sometimes, it is so hard. I am a tiny-little-bit of a control freak. Okay, I confess, I am a complete control freak, however infertility is currently beating that out of me (praise God!). I trust my husband, and I know he wants what is best for me, for us, for our marriage... but sometimes I wonder why I can't make all the decisions. Or even a handful of decisions, of the big, life-changing things. Don't get me wrong, we are a united team, and he does an amazing job at leading our family, and I get a heavy-handed say in most things. I wouldn't change a thing, even if I could. But we let that sneaking doubt creep up once in a while, and if we don't squash it right away, we can begin to resent our husband's decisions, can't we? What a tool our enemy uses to come right in between what God commanded to be one. I've changed my prayer life when it comes to my husband now. Instead of repeating the same prayers every day to God, I feel like He is challenging me to give over control to my husband in areas that I want to cling so desperately to. Areas that feel are "mine", even though they are quite clearly "ours" (Also, add selfishness to my list - my husband is a saint for loving me as fiercely as he does). I'm going to let you in on a secret I learned from Jen Hatmaker, who is one of my best friends although doesn't know it, but that's okay. In her book Interrupted (game changer, by the way), she began praying for God to lay the answer/vision on her husband's heart. This made such a huge impact on me, and I immediately felt the Holy Spirit shouting in my soul "THIS. DO THIS!" There are places and spaces in my heart that are full of desires, wants, wishes. Places and spaces that are reserved for our future, for our family, and a lot of the unknown that I know only God can fill in. I have approximately two billion ideas to fill in these spaces, and God's not really taking my ideas into account. When you surrender your will to His, you have peace about this. But after years of hearing God's voice telling me to "be still", I truly feel He is calling me to movement. The trouble is, I don't know what this movement is. Enter the new prayer. I am praying these big, mighty prayers that God would give my husband the answer. That He would so clearly speak into Jason's heart and tell him the next step for us to take, if any at all. When I have a specific request, I've been feeling that tug that says "give it to the Lord and your husband". In these beginning stages, I don't know what God is up to, or why He is teaching me this lesson, but I am so grateful for it. It takes some of the pressure I heap onto my own shoulders, and puts all that weight on God. God will give us answers when the timing is right, and I can honestly tell you, that when my husband tells me God is leading him in a direction, I pack my bags and hit that trail.. even if I kick and scream a little. Read Ephesians 5, friends. See what God has for you and your marriage there. You'll find the little gem that says our husbands are supposed to submit to us, too - they're called to love their wives as Christ loves the church. Paul wraps up the chapter in verse 33 saying "So again I say, each man must love his wife as he loves himself, and the wife must respect her husband." Challenge of the week! Respect your husbands! Okay, that's the challenge of our lives. But really, friends, take this into account. 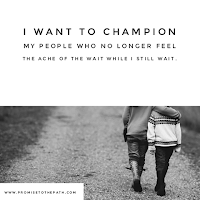 We are commanded to do these things even when it's hard, even when it doesn't feel good, and even when our husband isn't being the ideal husband. Remember to give grace generously, as we are not the ideal wife often times. 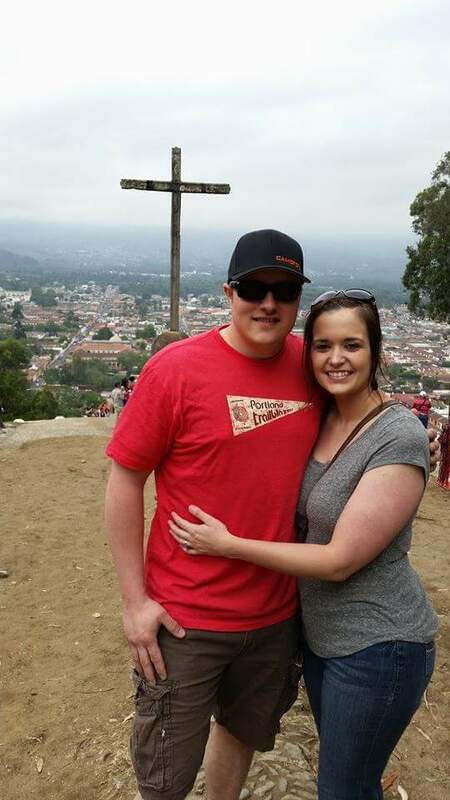 Marriage works best when operated by forgiveness, grace, and humility. Operate in those things. 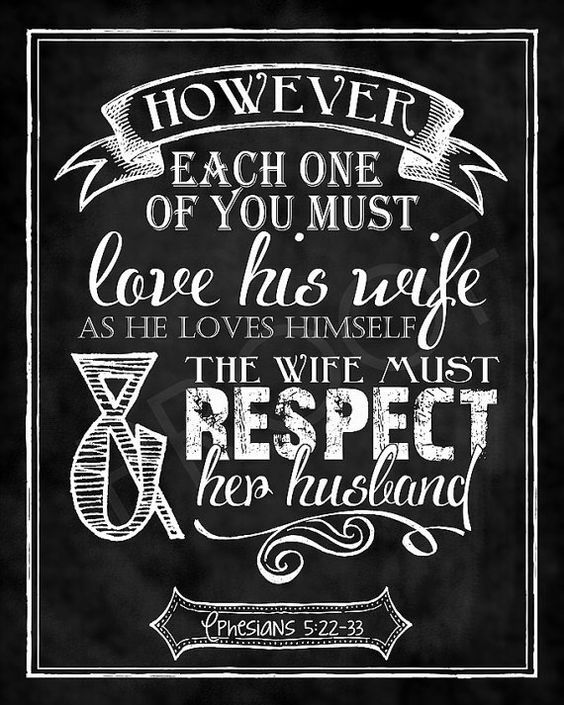 Love your husband through respecting him, whether he's around or not - whether he hears it, or not. Jesus does, and in the end, that's the One who matters most. Jesus, thank you for giving me the precious gift of my husband, and thank you for giving him the wisdom to lead our home well. I pray that You would lift up every wife reading this today. I don't know her situation, Lord, but You do. Give strength to the weak, give grace to those needing grace, and soften their hearts to receive Your message. I pray for every husband, that they would chase You so recklessly and follow You without fear or pressure, to lead their home well. I ask you to help me in this area, as I know I don't always submit well. I thank You for hearing our prayers, Lord, and for the perfect timing in Your answer. Be with my friends this week as they do the wife and mama thing, and show them encouragement. Thank You for Your word, even if it's a hard pill to swallow. May we all follow You well. In Jesus' name I pray, Amen.